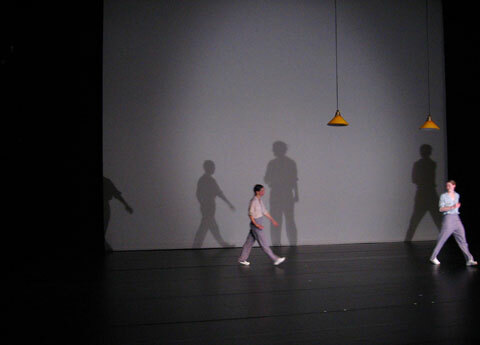 On January 29, 2008 I went to see the choreography show ‘Fase, four movements to the music of Steve Reich’ at usine-c, premiered in 1982. Belgian choreographer Anne Teresa De Keersmaeker performed with Tale Dolven to composer Steve Reich's music. Tale Dolven is part of Keersmaeker's dancing company Rosas, one of the world’s most wanted contemporary dancing companies. The music named Piano Phase (1967), Come Out (1966), Violin Phase (1967), Clapping Music (1972) were accompanied by the performer's cyclical repetitions and patterns and their beautiful shadows and silhouettes.